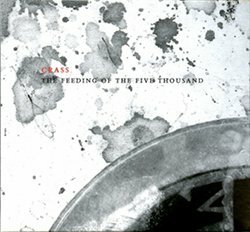 CRASS – The Feeding Of The Five Thousand CD (Remastered) - Old Punks Never Die! CRASS. The point where it really all began as far as I’m concerned. The band that gave punk the direction it needed to go if it was to really mean anything, and who called it a day when they felt they’d said everything they could as a collective unit. And, although they’ve been almost completely ignored in the deluge of ‘punk’ history books that have been spawned over the years, their influence cannot be overstated. Having come to the conclusion that the early digital versions of their output really didn’t do justice to how they should’ve looked or sounded, some members of the band (primarily Penny and Gee from what I can tell) decided that they would put in the time and effort required to rework the whole lot. But it didn’t pan out quite so smoothly. Pete had unresolved personal issues with Penny from back in the day and decided to use the planned re-issues as a weapon in that dispute. He refused to give permission for the remasters to be released. The last I heard, it was on the verge of court but it seems like Penny et al have adopted the ‘published and be damned’ approach, much like they’ve always done. So on to the end product. There’s no remixing here, just clever use of the latest tools and technologies that’s allowed them to bring out the full power and energy of the recording. It’s definitely the next-best-thing if you don’t have the vinyl version, and I’d recommend it even if you do. I’ve read some criticism that the remastering just added a dose of compression to make everything more equally loud, but it definitely sounds a lot more subtle than that to my (admittedly well-used) ears. There’s a presence about the bass that really emphasises just how good the riffs were, while the work on the guitars has created a subtle separation that allows both to stand proud while still combining precisely for that classic jittering, jarring sound. Vox and drums find a comfortable home among them and the overall balance definitely hits the sweet spot. Along with the studio tracks, there are an additional 16 tracks resurrected from some ultra-scarce demos recorded in the very early days. They’re historically interesting, if slightly more challenging to listen to more than once. Gee’s also been no slouch with creating a completely fresh approach to the package as a whole. The accompanying 64-page lyric booklet is a pleasure to hold and read. Not only are there snippets of images that any CRASS afficionado will know intimately, there are also new photos, clever background textures, beautiful type-setting and intros from Steve Igs and Gandalf Rimbaud himself. The original poster sleeve has been reduced to CD size and opens up just like its big brother. Everything is boxed in a cardboard slipcase which has a photo of part of the CRASS logo on Penny’s bass drum skin (the six planned remasters will make up the whole image when put together). Needless to say, the materials used are all top-notch and do the artwork and creator full credit. ‘Stations…’ is next up and I’m seriously excited about it. Hell, they may even be able to tempt me to part with my hard-earned to get ‘Ten Notes…’ just for the non-musical content. OK, so none of these releases are really essential any more, but for anyone whose life has been influenced in any way by these angry songs and bitter words, they’re more than a justifiable indulgence. Download sample track – So What?